NOTE: THIS PODCAST ORIGINALLY AIRED ON MARCH 22, 2006. THE LINKS CONTAINED IN THE ORIGINAL SHOW NOTES BELOW MAY NOT EXIST. Few interesting things: Tom’s blog about a very cool 3d interactive shockwave game called Phosphor by Nick Kang…. Awesome job! However, I would like to debate the issue of making Director into a “game development” platform. Making money in this area is very tough and competitive. Criteria: 1-10, Uniqueness, Reliability – crashes, Speed, Cosmetic / Gui Interface – Not Related, Usability, ease of use, confusion factor, easy to navigate, makes sense to end user. Don’t forget our other podcast, The Kiosk Podcast. What to expect next: Contest reminder… Ebay reminder, Next episode will be the Impressario episode followed by an interview with Gary Rosenzweig and then the guys over at Cxtras… and more! 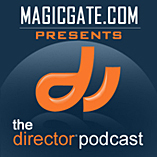 Tune in again next week to the Director Podcast where we talk about the software we all love to use. NOTE: THIS PODCAST ORIGINALLY AIRED ON MARCH 15, 2006. THE LINKS CONTAINED IN THE ORIGINAL SHOW NOTES BELOW MAY NOT EXIST. Lots to cover: Gretchen Macdowall interview… email interview, Ebay Advertising, tons of feedback this week. Episode number 10: Impresario episode. Episode #11 Interview with Gary Rosenzweig… that interview alone is almost 1 hour. Shockwave 10.1.1r16 update is available. Criteria: 1-10, Uniqueness, Reliability – crashes, Speed, Cosmetic / Gui Interface – Not Related,Usability, ease of use, confusion factor, easy to navigate, makes sense to end user. New Entries: Walter Last sent in “Children’s Book” and Graham Cilito sent in a 3d mesh controller application. NEED MORE ENTRIES, you have until the end of the month! Quite a bit of 3D stuff coming in, maybe it justifies a monthly contest for best 3D application or content? Very strong interest in the 3D aspect of Director out there. Director Resource Software… need programmers that want to take on this community project. Need XML experts that can parse RSS feeds. We have the basics finished but this will be a great community project. In addition, anybody who helps on the project will be mentioned in the credits of the software. The software will be made available to anybody who wants to download it for free. Shoot me an email atskip@magicgate.com to discuss your qualifications and how you can fit into this project. Sunil from India – Skyped message, magicgatesoftware to skype your written or voice comments to us. Need to bribe you with voice comments. Call our voice comment hotline or Skype your voice comment to us and we will randomly draw one of the comments and the winner will receive a copy of Gary Rosenzweig’s book Advanced Lingo For Games. Recently out of print and full of great Lingo game logic that we use all the time! Don’t forget our other podcast, The Kiosk Podcast with guest speaker Brian from Nanonation Thank You Listeners! What to expect next: Contest reminder…. Also send us your questions for our upcoming guests on the show: Peter from PrintoMatic and Marc Sylvester from Laughing Bird Software. Tune in again next week to the Director Podcast where we talk about the software we all love to use. NOTE: THIS PODCAST ORIGINALLY AIRED ON MARCH 8, 2006. THE LINKS CONTAINED IN THE ORIGINAL SHOW NOTES BELOW MAY NOT EXIST. In addition to Chuck Neil and Tom Higgins, we have under our belt, Gary Rosenzweig, Gretchen Macdowall from UpdateStage and Vincent from the Cxtra team ready to go. Criteria: 1-10,Uniqueness, Reliability – crashes, Speed,Cosmetic / Gui Interface – Not Related, Usability, ease of use, confusion factor, easy to navigate, makes sense to end user. Mario from Atlanta says ?Awesome podcast , dude! Keep up the good work!? Peter from Colorado wants to talk about PrintOmatic… bring it on! Don?t forget our other podcast, The Kiosk Podcast to find out more about the PMA show that we attended last week. Thank You Listeners! What to expect next: Contest reminder? INTERVIEW with Gretchen Macdowall from UpdateStage.com. Email us your questions for her in addition, please email us your questions for Peter from Electronics, Inc. , owners of PrintOMatic. Tune in again next week to the Director Podcast where we talk about the software we all love to use. NOTE: THIS PODCAST ORIGINALLY AIRED ON MARCH 2, 2006. THE LINKS CONTAINED IN THE ORIGINAL SHOW NOTES BELOW MAY NOT EXIST. Criteria: 1-10, Uniqueness,Reliability – crashes, Speed,Cosmetic / Gui Interface – Not Related,Usability, ease of use, confusion factor, easy to navigate, makes sense to end user. Educational institutions and students may use a special educational verison without charge. If you believe you are entitled to this usage, please contact Gary Smith for a registration number. The Unregistered Version of the Xtra allows you to use any 2 functions in any projector or packaged application. This version is the one available from the download page and does not need a registration number. The Limited Edition costs US $90 or $AUD 125, plus 10% GST for Australian residents. In this version, the Xtra allows you to call any seven functions in any projector or packaged application. Each function can be called multiple times. Support is provided by e-mail. The Full Version costs US $180 or $AUD 250. This contains a fully unlocked version of the Xtra. Support is provided by e-mail. An upgrade to the full version from the limited version costs US $90 or $AUD 125, plus 10% GST for Australian residents. These prices include both the Windows and Macintosh versions. Editors and Writers such as: ShapeShifter, Tampruf, Bland Inquisitor, Dragorn, Mr. French, Joe630 and Lucky225. Highlighting it in both podcasts, due to recent kiosk articles. If you are developing for commercial applications or kiosks, this is a very useful magazine to find out more about potential security issues out there. Jim from North Carolina writes: “Skip, this show kicks ***!!! I have never listened to a Podcast before and never knew how cool this **** was!!! I can’t believe that somebody didn’t think of this **** before. Thanks for creating this show and thanks for taking the time to educate all of us dumb ***’s.” Jim, Next time, leave a voice comment… less work for me! Don’t forget our other podcast, The Kiosk Podcast to find out more about the PMA show that we attended a few days ago. Thank Listeners! What to expect next: Contest reminder… INTERVIEW WITH TOM HIGGINS. Tune in again next week to the Director Podcast where we talk about the software we all love to use. NOTE: THIS PODCAST ORIGINALLY AIRED ON FEBRUARY 22, 2006. THE LINKS CONTAINED IN THE ORIGINAL SHOW NOTES BELOW MAY NOT EXIST. Gone over 1000 listeners and still a steady growth. Sooner or later it will peak out because of the limited community but we consider 1000 people to be a huge success. We also want to thank all the Xtra developers and legends out there for their support and encouragement. This way we know we are on the right track! New MX Developers’ Journal, volume 4, issue 1, Director Article by Mal Duffin called: Creating a Shockwave 3D Game Level in 30 Minutes— Export Shockwave 3D content using any of the major 3D applications” Good for the gaming environment. Attending PMA show in Orlando: Photo Marketing Association International. Kiosk manufactures, Kodak picture kiosk made with Director. The WordWrangler Xtra is a lightning-fast spell checking and text replacement tool. WordWrangler offers over sixty functions for spell checking, search and replace, and text manipulation. Add life to Macromedia Director movies with WordWrangler Xtra. With WordWrangler, spell checking features provide a foundation for building word games and productivity software. In addition, text functions are included for searching, replacing, and encoding text. All WordWrangler functions are written in C++ and optimized for speed and small memory footprints. Likewise, robust error handling traps errors and displays messages straight to the console window for ease-of-use and fast debugging. WordWrangler is Shockwave safe and packaged using Verisign’s digital certificate. Did not like the PC version, Mac version OSX version gets error message, OS9 version just launches a screen with a menu click to get exlusive internet content. Why was people’s time? So many more cool things could have been done with this. Cirque CD and Ozzy CD that had some really nice and creative stuff. Makers of vList xtra and they also house the Mile High Table O’Products along with an archive containing practicl tech notes. Also have the Quirk List which alerts develoeprs to potential pitfalls and the workarounds. Cathy from England asks: ” We are having a problem using BuddyAPI on our Mac project. It runs fine on Windows but when we compile it and run it with a Mac projector, we get an error message. Any ideas? >Check to make sure you have the Mac version of the BuddyAPI xtra as well as the PC version. Also, make sure the function you are calling is compatible with the Mac OS. 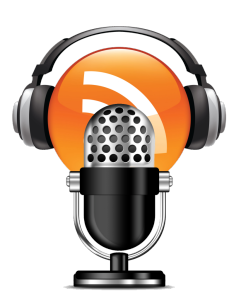 Don’t forget our other podcast, The Kiosk Podcast to find out more about the Self Service and Kiosk show and we attended last week as well as information about the PMA show we are headed to next week. Might be a day or two late next week as we will be out of the office on Monday & Tuesday, don’t know if we can get an episode up in time for “Podcast Wednesday” Thank Listeners! What to expect next: Contest reminder… Tune in again next week to the Director Podcast where we talk about the software we all love to use.